The Hexagon was produced by them for the 1935 Miller/Ford Indy car and with that being a front wheel drive effort the engine blocks were reversed. Why Hexagon, or Miller, or Ford for that matter thought the carbs needed to be mounted conventionally is anybody’s guess. Hexagon was a Detroit tool & die shop, possibly had history with Ford, and produced the patterns and machined the manifolds. The Hexagon was faster in qualifying, with Ted Horn being second fastest at 113MPH. 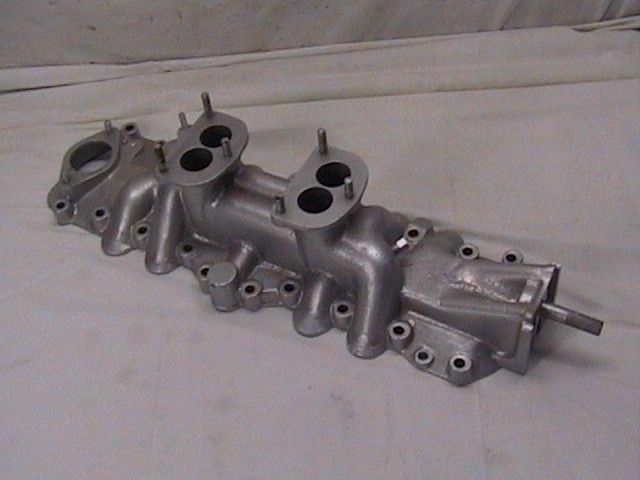 There was another manifold, a four carb, open plenum design (Miller?) that ran experimental Strombergs (some say Miller’s) on most of the cars. It had a reversion problem with a fog of gas forming over the carbs and blowing back at the driver and riding mechanic. I’m no expert but I think reversion is caused by a “mismatch” in the intake tract length and RPM peak of the engine. The Hexagon wasn’t marketed for street use until the ’40’s and was popular for the backward facing carbs which afforded room for the generator in it’s stock location. 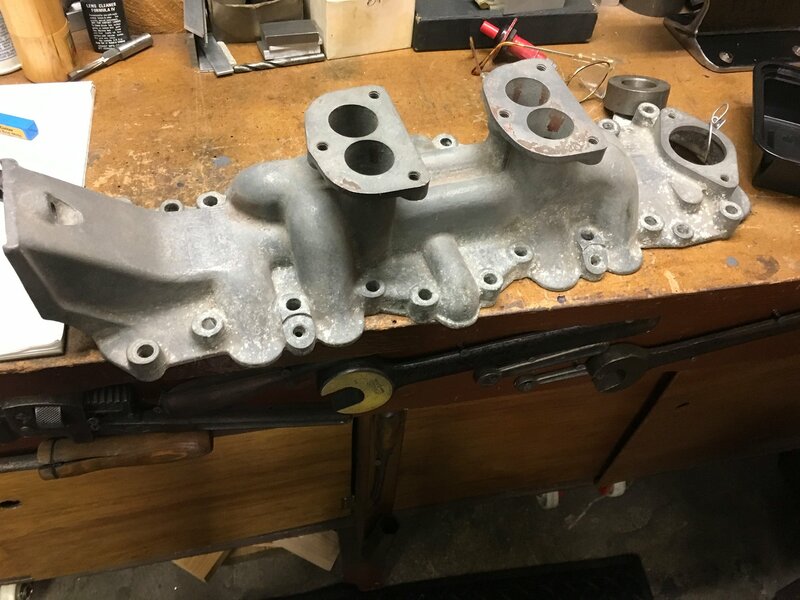 Unclear on the detail of this intake that was brought to light by one of our members. He was saying that it was a Hex #2 which is cut into the front of the intake similar to the way Edmond did theirs. The design is more basic and there is little info available on this company or their intakes but I thought it worth including. This could in fact be one of the first designs. This image was offered up by one of our members Ron Meola. Thanks so much for your help. I read somewhere that Don Sullivan who worked for Fords Indy Car division, designed and cast these intakes for their Indy attempts. These are the ones with no name on them. It was later produced by Hexagon Tool and Die with their name on it. I guess they may have made the original tooling patterns for Ford and after it was redundant they labeled it? Just something I read. About: Harold Arminius Miller (December 9, 1875 – May 3, 1943), commonly called Harry, was an American race car designer and builder who was most active in the 1920s and 1930s. Griffith Borgeson called him “the greatest creative figure in the history of the American racing car”. Cars built by Miller won the Indianapolis 500 nine times, and other cars using his engines won three more. Millers accounted for 83% of the Indy 500 fields between 1923 and 1928. Miller was born on December 9, 1875, in Menomonie, Wisconsin, to Jacob Miller (1833–1900) and Martha Ann (Tuttle) Miller (c1835–1922). Miller’s first work in the automotive business was with the short-lived Yale Automobile Company. 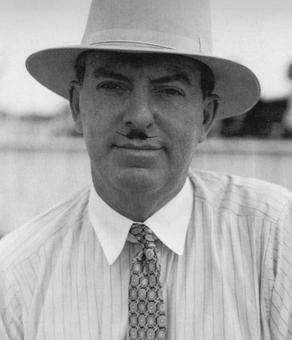 From Yale he moved to Lansing, Michigan, to work for motoring pioneer Ransom E. Olds at Oldsmobile, where he was employed as a race mechanic during the early Vanderbilt cup races. After a poor 1906 race season, Miller left for Los Angeles, California, to open a small machine shop specializing in carburetor production. Among Miller’s innovations include perhaps the first engine mounted on a bicycle and the first outboard motor. Miller built a 4 cylinder engine and mounted it on a boat. 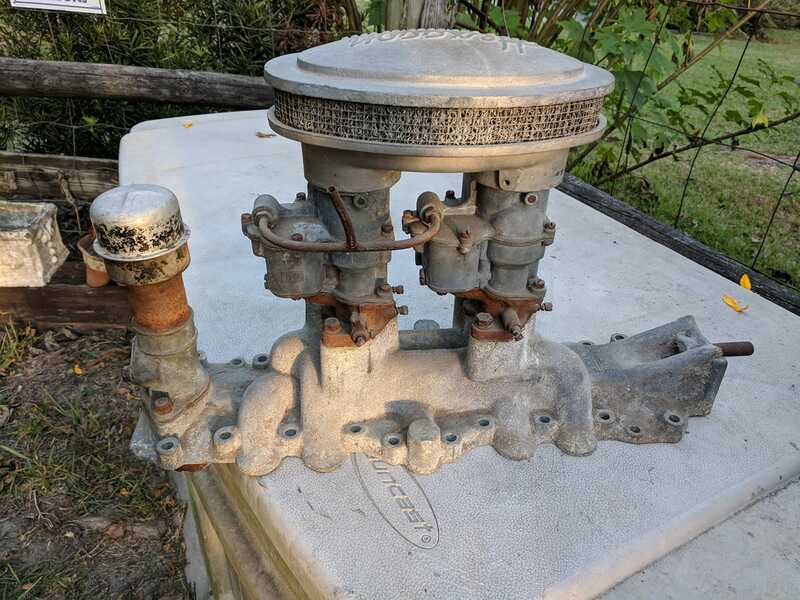 His neighbor, Ole Evinrude, removed two cylinders and patented the first outboard motor. 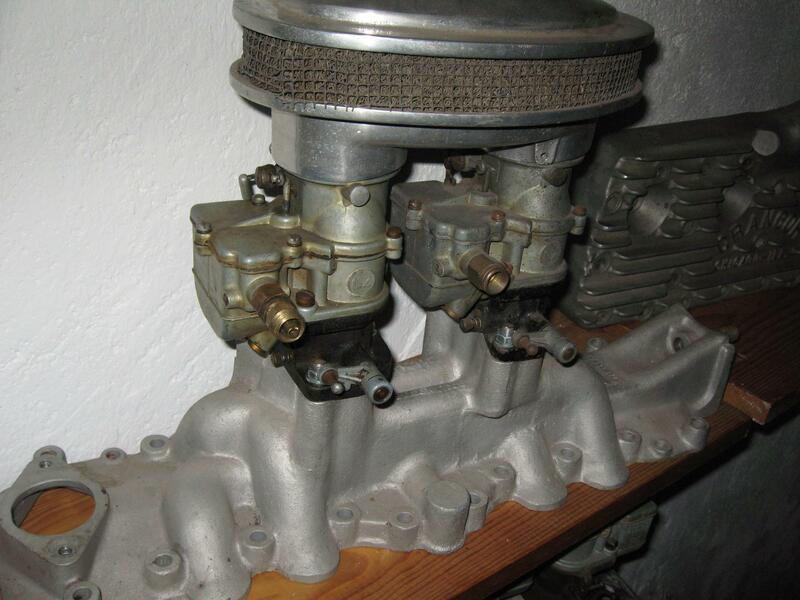 Miller also produced the first aluminum pistons, developed the aluminum alloys still used in engine development today, and the first carburetors and induction system to use Helmholtz resonators. Miller also produced the first front drive race cars and the first 4 wheel drive car. His involvement with the racing side of his carburetor business led first to repairing and then building race cars. In the 1910s, Miller was making $1 million per year through sales of his carburetors. In the early 1920s, he built his own 3.0 litre (183 in³) engine. Inspired by multiple engine designs including Duesenberg and Peugeot engines which had been serviced in his shop, it had 4 cylinders, dual overhead camshafts and 4 valves per cylinder. Tommy Milton supplied the financial backing to produce this engine but it was Jimmy Murphy who first won with it. 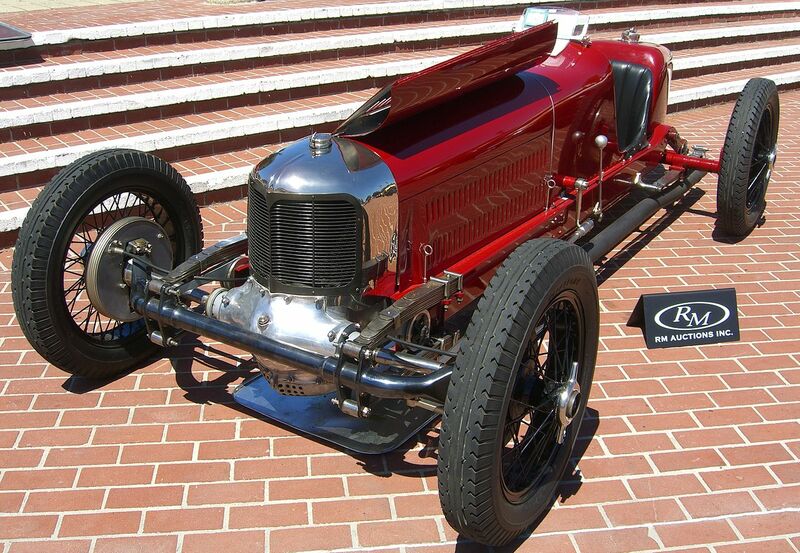 It powered Jimmy Murphy‘s Duesenberg to victory in the 1922 Indianapolis 500. Miller then progressed to making Miller single-seater race cars that used supercharged versions of his 2.0 and 1.5 liter (122 and 91 in³) engines. The engines took four more wins in the 500 up to 1929, twice (1926 and 1928) in Miller chassis, and won the race another seven times between 1929 and 1938 (twice again, in 1930 and 1932, in Miller chassis). In the 1920s and 1930s, Miller engines also powered speedboats to several race wins and world water speed records. Among those that won with his engines on the water was the great Gar Wood. Miller declared bankruptcy in 1933. 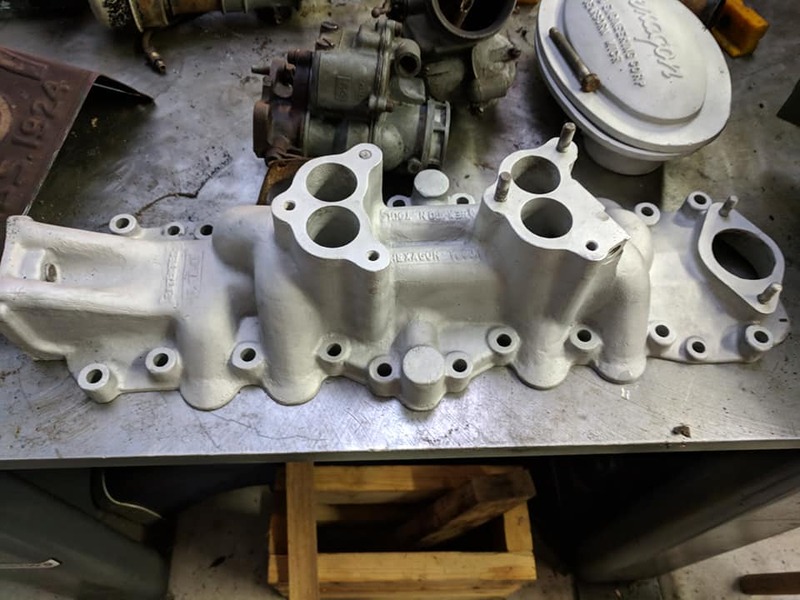 His shop foreman and chief machinist Fred Offenhauser purchased the business and continued development of the engine as the Offenhauser which raced successfully until the 1980s. After bankruptcy, Miller built race cars with Indianapolis 500 enthusiast Preston Tucker, and in 1935 they formed Miller and Tucker, Inc., whose first job was to build ten modified Ford V-8 racers for Henry Ford. With insufficient time available for their development and testing, all these cars dropped out when the steering boxes, installed too close to the exhaust, overheated and locked up. 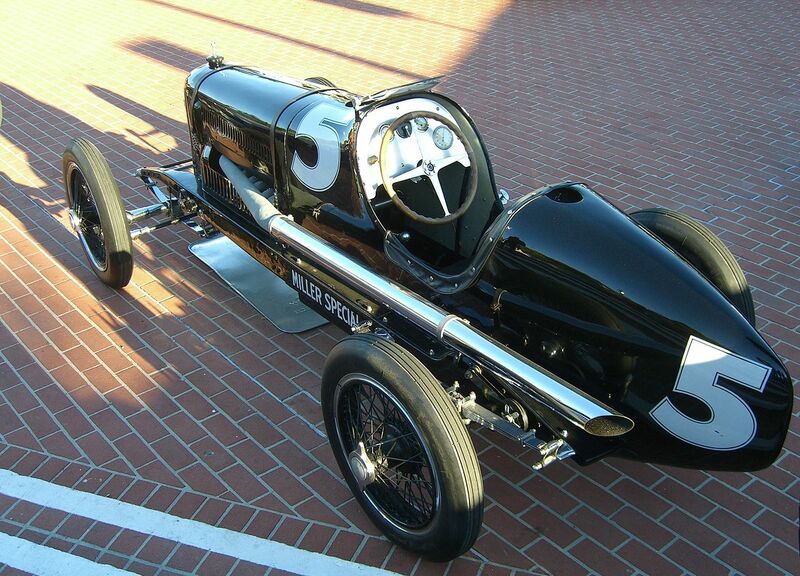 The design was later perfected by privateers, and examples ran at Indianapolis through 1948. Miller and Tucker, Inc., moved to Indianapolis and continued race car development and construction. In the late 1930s, Miller and Tucker also developed the Tucker Combat Car and tried unsuccessfully to sell it to the Dutch and U.S. governments. The car was capable of 115 mph (185 km/h) on pavement and 65 mph (105 km/h) on rough terrain, and had several innovative features including a power-operated gun turret, which the U.S. government bought and used in numerous applications including the B-17 and B-29, PT boats, and landing craft. Miller took some of the design elements from the Tucker Combat Car, notably the suspension, to American Bantam, where he was involved with the development of the first Jeep. Tucker and Miller worked together off and on until Miller’s death in 1943. Tucker helped Miller’s widow pay the funeral costs. It was while working with Miller that Tucker had met chief mechanic John Eddie Offutt, who would later help him develop and build the first prototype of the 1948 Tucker Sedan. Miller died on May 3, 1943, at Grace Hospital in Detroit, Michigan, at age 67.